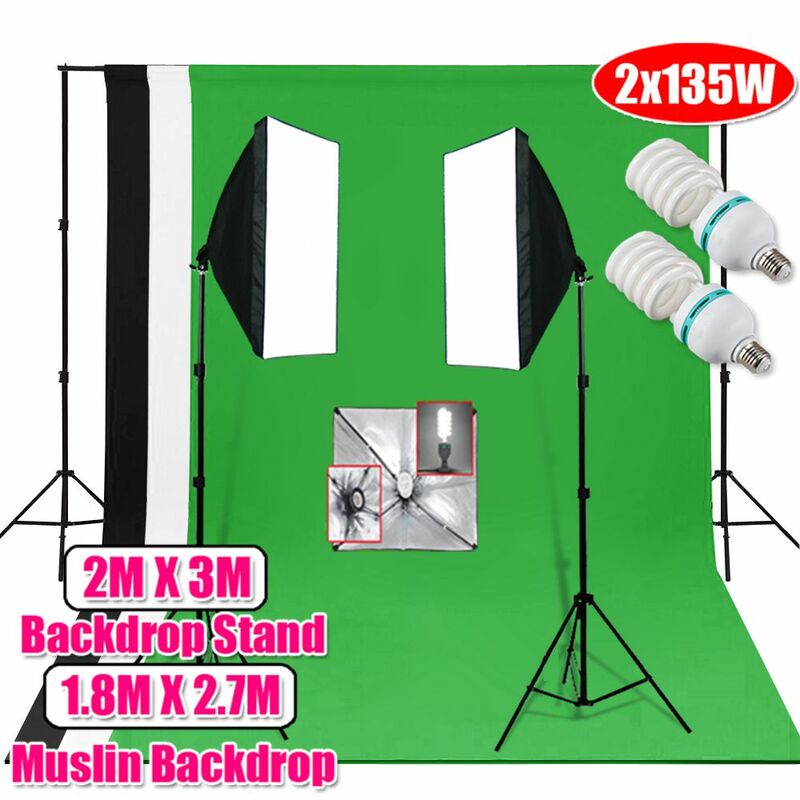 The complete 1350W Photo Studio Softbox Light Continuous Lighting Backdrops Stand kit is ideal for anyone want to do portrait, video and doesn't want the complication of flash. Quick to set and dismantle. This powerful florescent lighting kit is easy to assemble. Each umbrella like softbox takes less than 60 secs to setup. It is ideal for Photography or Video and aimed at amateurs to pros. 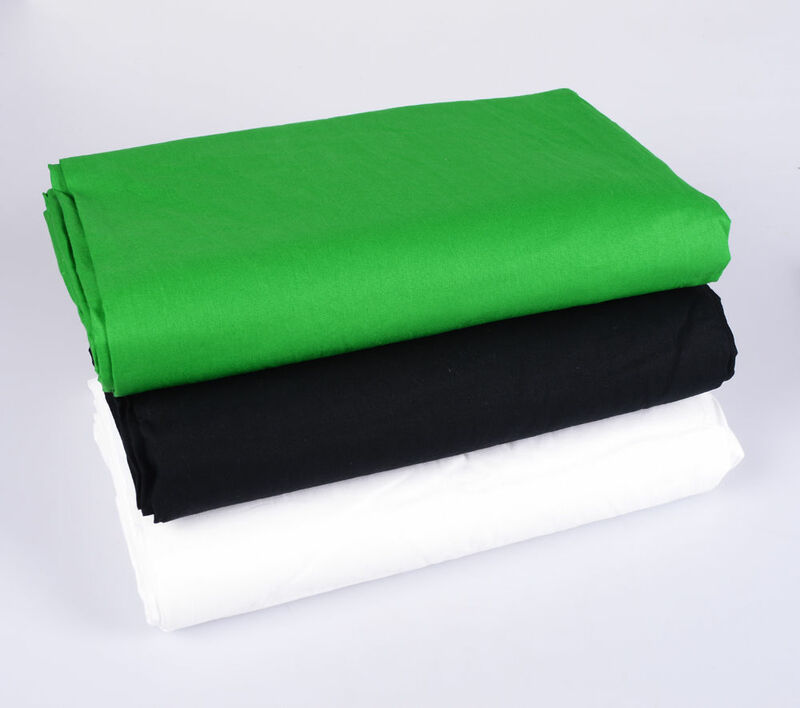 * Ideal for product shots, as well as portraits, costumes, furnishings, etc. * Daylight balanced 5500K colour temperature to prevent from colour aberration. 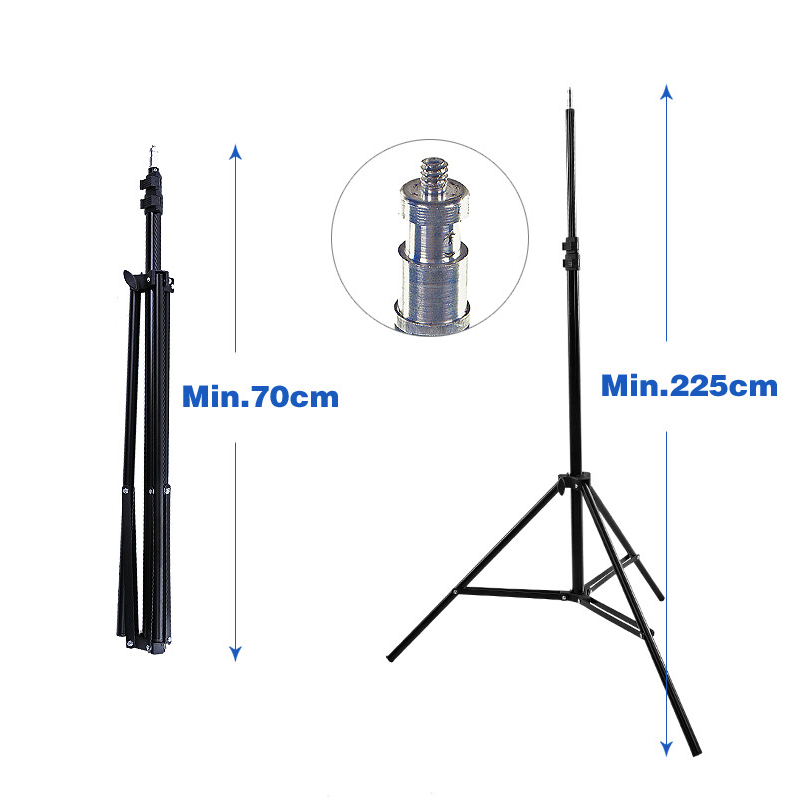 * Powerful total 1350 Watts equivalent lighting to provide a sufficient exposure for your images. * Soft boxes are ideal for spreading the light over an even surface. This gives big soft light, helps to reduce overexposure and hot spots. * Set up in minutes to offer you a professional photo studio. Extremely soften the light and get rid of the shadows to improve the quality of your images. Open-N-Use as studio umbrella. 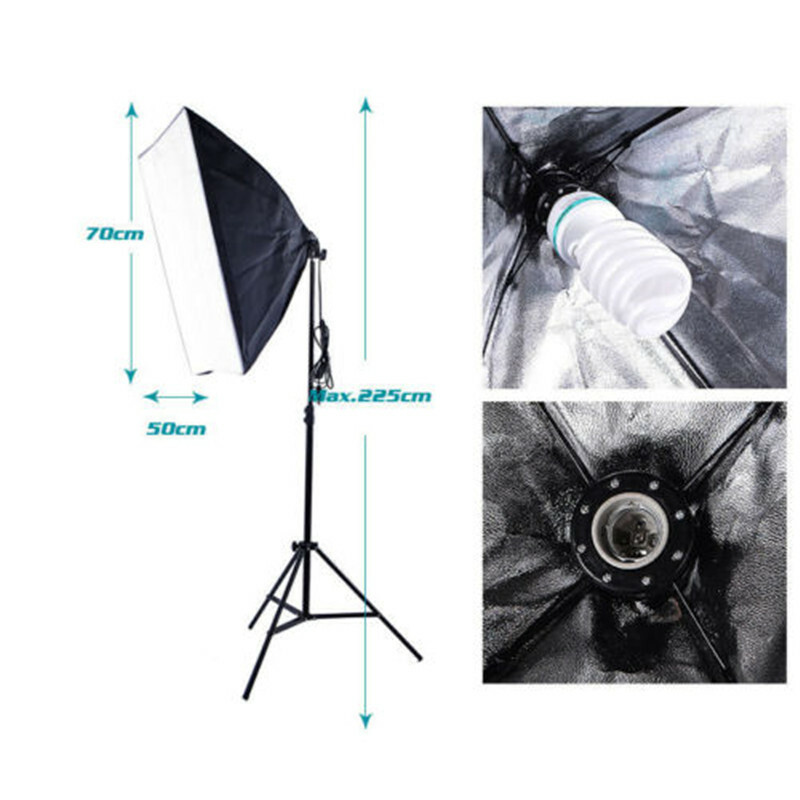 More convenient than traditional soft box. 2.Roll the backdrop up and put it aside. Note: High temperature steam iron is not allowed. Durability: Made of high quality material. Portable and convenient to anywhere.